Why should you care about the debt ceiling? Honestly, you shouldn't have to. Problem is Congress has turned the debate over raising it into a national drama. And if lawmakers don't bring that drama to a speedy and smart end, all bets are off for the economy and markets. That means Americans' savings, loans and general economic well-being could be collateral damage. Oh fine, so what's the debt ceiling again? It's a cap set by Congress on how much the federal government may have in outstanding debt. The cap applies to debt owed to the public (i.e., anyone who buys U.S. bonds) plus debt owed to federal government trust funds such as those for Social Security and Medicare. Congress has always set some kind of limit on national debt, but the first modern version of it was set in 1917. Today it's set at $16.699 trillion. 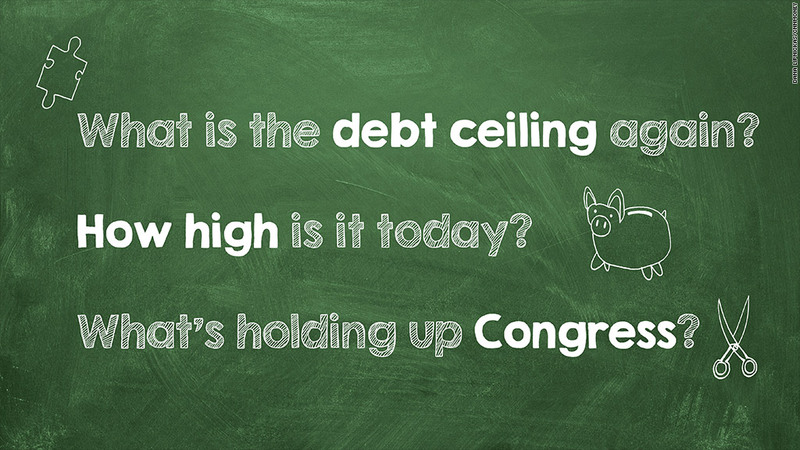 How often has Congress raised the debt ceiling? So often. On average, more than once a year. Since 1940, lawmakers have effectively approved 79 increases. Sometimes they've raised it by small amounts, other times by large amounts. And sometimes they've raised it "temporarily" with provisions for a "snap-back" to a lower level. Is it true that raising the debt ceiling gives Congress a "license to spend more"? No. Raising the debt ceiling simply lets Treasury borrow the money it needs to pay all U.S. bills and other legal obligations in full and on time. Those bills are for services already performed and entitlement benefits already approved by Congress. So raising the debt ceiling is more like a license to continue paying what the country owes. And the obligations are incurred because of countless decisions made by lawmakers from both parties over the years. So, why does Congress even bother with a limit? In theory, setting a debt ceiling is supposed to help Congress control spending. In reality it doesn't. Not meaningfully anyway, although there have been times when the debate has yielded some fiscal restraint. The problem is the decision to raise the borrowing limit is usually divorced from lawmakers' legislative decisions that will necessitate future debt limit hikes. It would be much better, budget experts say, to authorize debt limit increases at the same time that Congress passes bills to raise spending or cut taxes, both of which can add to deficits. 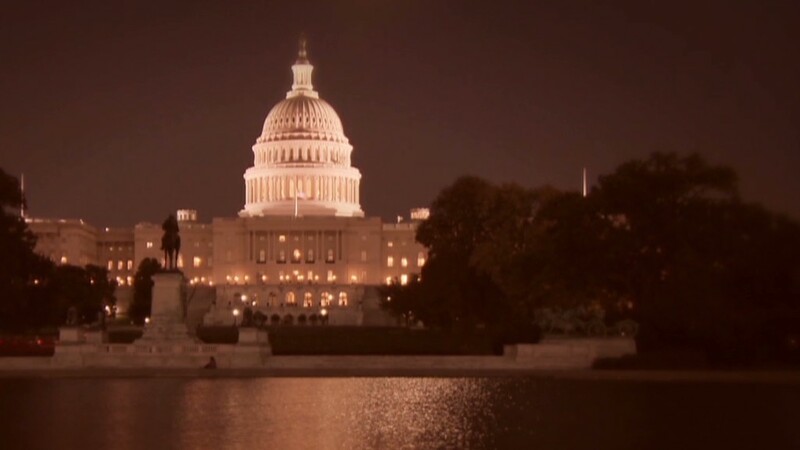 What's holding up Congress this time? Supporting a debt ceiling increase is always a tough vote for politicians, since their opponents will be sure to label them fiscally irresponsible. And it's a tough vote because the minority party often tries to extract concessions from the majority in exchange for their support. Many Republicans today are insisting that any increase in the debt ceiling be tied to spending cuts, a host of unrelated matters like the Keystone pipeline and, among some conservatives, the defunding and delay of Obamacare. Meanwhile, President Obama and Democrats want a "clean" increase and insist they won't negotiate. Wait ... is this the same fight they're having over a government shutdown? No. But it's easy to confuse the two because they're happening at the same time. The government shut down because Congress couldn't agree to fund the government before the fiscal year started on Tuesday. And Republicans have been making similar demands to what they are making over the debt ceiling. But here's the key difference: Shutting the government down is aggravating and a waste of time -- and could reduce economic growth if it goes on too long. But that's nothing compared to the risks posed if Congress doesn't raise the debt ceiling soon. So what happens if Congress doesn't raise it in time? No one knows for sure because that's never happened before. But the going assumption is that no good will come of it. Treasury would not be allowed to borrow money. And that's a problem since the government borrows to make up the difference between what it spends and what it takes in. Practically that means at some point this fall -- the updated estimate is late October to early November -- the Treasury will no longer be able to pay all the country's bills, benefits and other obligations in full and on time. What then? That's a good question with no clear answer. Treasury may try to pay some bills and delay others, or delay all bills due on a given day until it has enough revenue in hand to pay all of them. Most experts think the Treasury would do all it could to prioritize interest payments on the debt, lest the United States default on its bonds, which would likely send markets plunging and interest rates soaring. But it's not clear how investors will respond if Treasury makes interest payments but ends up delaying payments to government contractors, federal workers, taxpayers due refunds, veterans, seniors and anyone else to whom the federal government has a legal obligation. Economically it could be disastrous if the standoff lasts for more than a couple of days. "Federal employees, contractors, program beneficiaries, businesses and state and local governments would find themselves suddenly short of expected cash, causing a ripple effect through the economy," Donald Marron, a former Congressional Budget Office director, told lawmakers. To say nothing of the fact that the United States' reputation as "money-good" would be damaged.